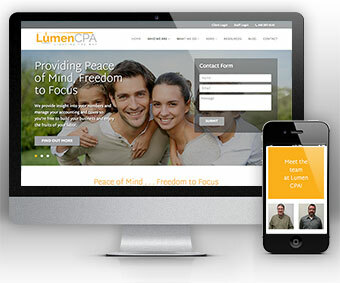 We weren’t just another project to them” – Lumen CPA’s BizInk experience. Working together, Marty and Kamila were able to achieve what Marty was looking for in a new website. “Kamila seemed to actually read through the copy that I had written as opposed to just ‘slapping it up’, Marty recalls. “She did a great job of capturing what I was looking to do.